Picking out new Christmas wrapping paper! If you follow me on Instagram then you may have seen that I’ve already put up my Christmas tree! Normally I wait until mid-November to put up my Christmas tree. But this year I thought it would be best to start decorating a little earlier. I did this because I’m going to be traveling so much from now until Christmas. In two weeks I’m going on a special “Midwest Road Trip” where I’ll be visiting multiple states and cities throughout the midwest (but more on that later!). I’m also heading to DC and New York in early December. Then I’m off to Disney World to celebrate the holidays, ring in the New Year and go on my first ever Disney Cruise (on January 2!). Since I won’t be home that much, I wanted to decorate earlier so I could enjoy all of the amazing Christmas decorations as much as I could this holiday season! Since my Christmas tree is already up, it only made since to start putting a few presents under the tree. And what do you need for presents? Wrapping paper! At first I wanted to go for an all Disney wrapping paper theme but I couldn’t resist the adorable My Little Pony, Hello Kitty and “Dabbing Through the Snow” wrapping paper. I picked up the Hello Kitty wrapping paper at Five Below. I got the My Little Pony wrapping paper from Dollar Tree. And I got the “Dabbing Through the Snow” wrapping paper from Target. 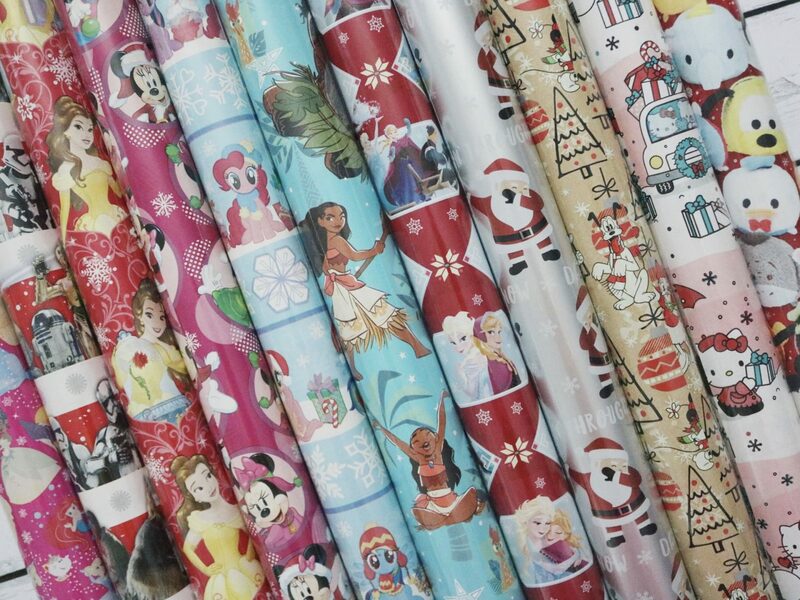 A lot of the Disney wrapping paper (Star Wars, Belle, Minnie Mouse and Frozen) came from Dollar Tree. I got the tsum tsum and Mickey & friends wrapping paper from Target. The Disney princesses wrapping paper came from Five Below and the Moana wrapping paper (which is my favorite) came from Meijer! I can’t believe I just wrote a whole post about wrapping paper! But what can I say, this is my FAVORITE time of year! Have you started prepping/preparing for the holidays yet?